Обязательно возьмите здесь изумительные гамбургеры, двойной чизбургер и сыр на гриле. Вам понравится вкусное мороженое. Многие клиенты утверждают, что в этом ресторане хороший рутбир. Здесь стоит попробовать неплохие молочные коктейли, кофе или лимонад. Здесь можно вкусно поужинать на открытом воздухе. 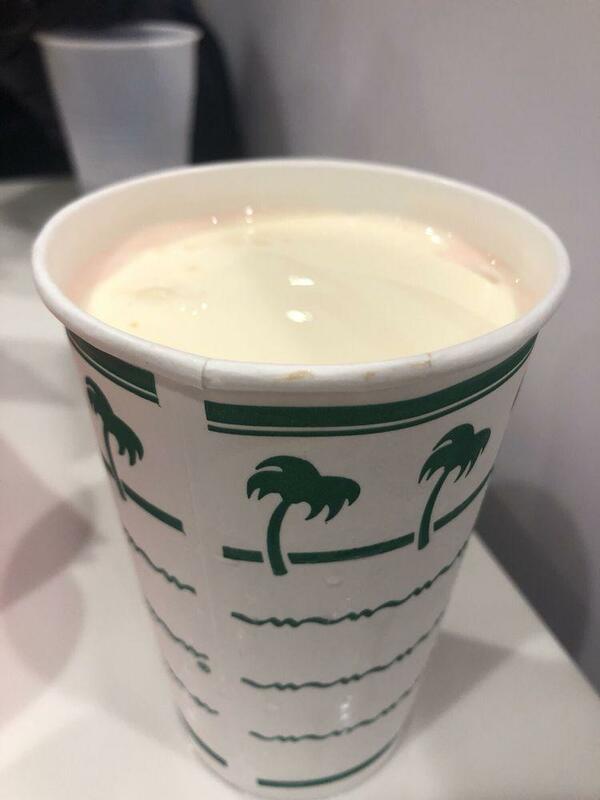 Большинство гостей пишут, что сотрудники в In-N-Out Burger услужливые. Посетители утверждают, что здесь восхитительный сервис. По отзывам клиентов, в этом месте адекватные цены. Вы обязательно оцените очаровательную атмосферу и замечательный интерьер. Многие гости поставили этому заведению оценку 4.5 на Zomato. Burger of your choice with hand-leafed lettuce, tomato, a mustard cooked beef patty; add pickle, extra spread, with grilled onions. Okay so where do I start! 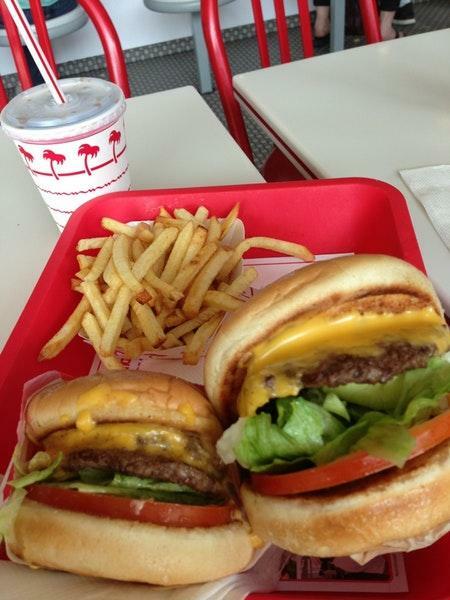 How does someone NOT love In n out??? Yes I know I'm a girl considered being on the skinny side, but a 4x4 (4 patties, 4 slices of cheese) will make me the happiest girl in the world. AND if I'm feeling a little more piggy, I might have an additional double... Yum! Yes, it may seem strange to be able to eat so much as most guys probably are satisfied with just a double... 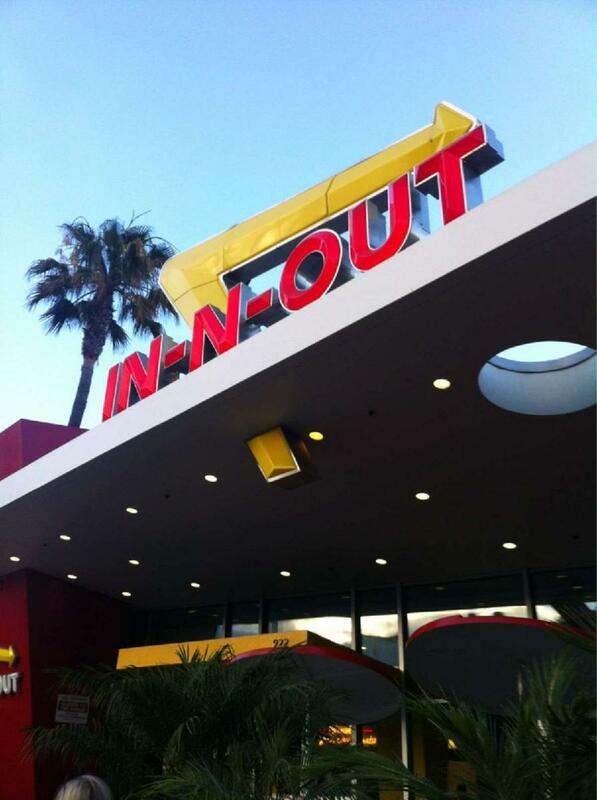 But when it comes to in n out burger, why not go all the way! Not only do I love it so much, the way to complete the journey of enjoying eating in n out is to take a nap after the food coma has set in. And i bet I fall asleep with a smile of complete satisfaction. 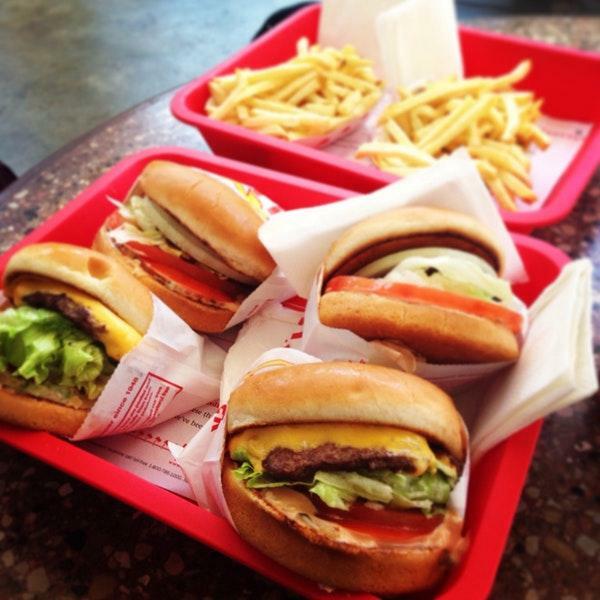 As I've told the hubby many times, the only way to make me happy is not diamonds chocolate or flowers, it's in n out! It's hard to describe what makes it so good it's just something one has to try. And I suggest people to read the hidden messages on the packaging too! The fries definitely need some work, but the burger sure is the star of the show! Anyone who hasn't tried it yet, must do so! And if someone else out there orders a 4x4 like me, major high five! You're legit! Here's the challenge though, can anyone beat this... Hubby: 3 orders of 3x3 & 2 cheese fries with soda Me: 4x4, a double, 2 fries with soda All in one sitting! And no, we're not chubby. We're skinny piggies! In n out is legit! 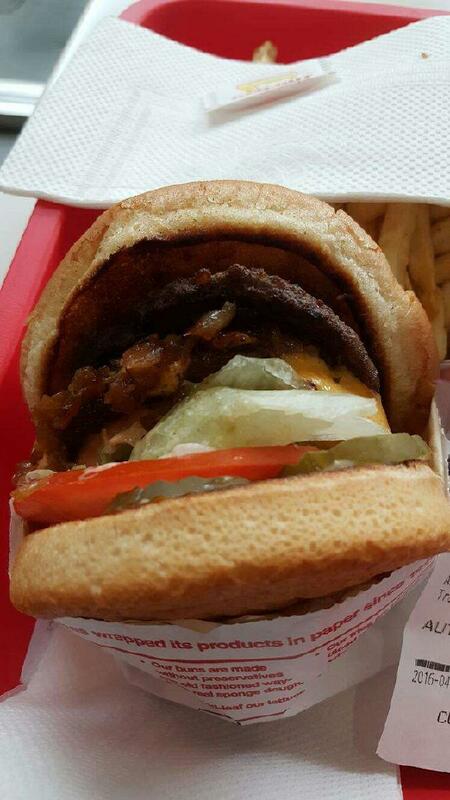 What can said that hasn't already be said about In-N-Out. Consistently provides a great burger. I always eat the animal style fries first. Drive-thru is weird and almost hidden but there is a small parking lot if you can grab a free spot. Food was amazing, had a cheeseburger with onions & fries. 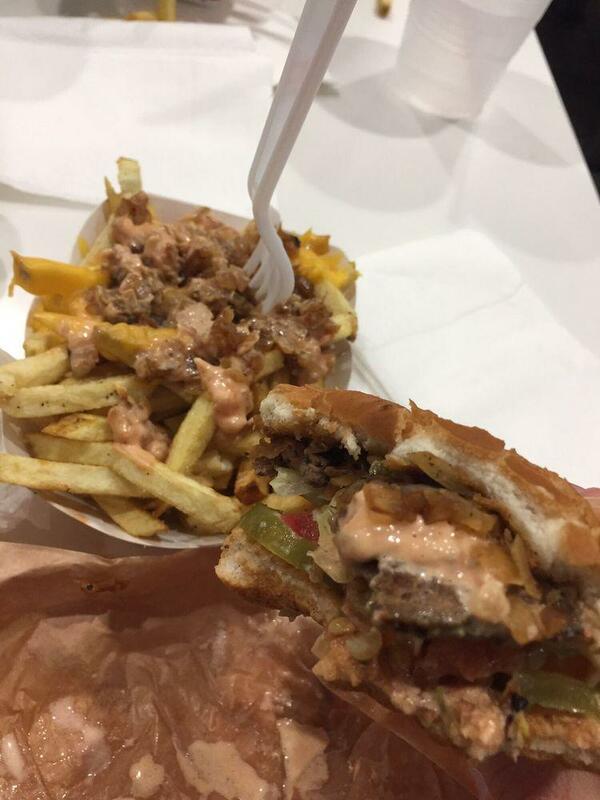 Fries were hot and delicious but the cheeseburger was life changing! WAY better than five guys and much more affordable. A large filling burger and hot fries for 5.48$...zero complaints.